For those people who have time to attend a WCC public meeting, there is one tomorrow (Tues 28 June 2011 at 10.00 in the Council Chamber). From my recent experience, it's unusual for members of the press or the public to attend unless something very newsworthy or controversial is on the agenda. Then again, as most of the documents are available online - is there any point in attending in person? 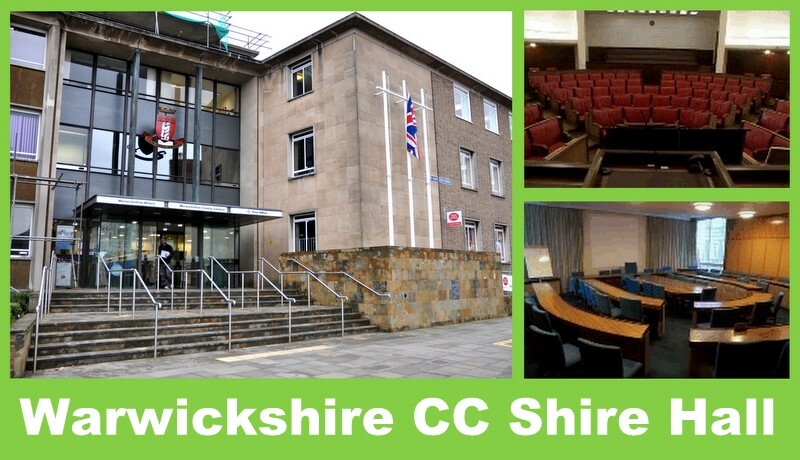 As you may have read (on twitter), wiK live tweeted the WCC Shire Hall meeting on 16 June 2011 (Youth Service issue). There was a packed room, but no one from the public or media attended (to my knowledge)...[update 28 June 2011: Lucy Thomson, Reporter from Coventry/Warwickshire Times was in attendance @lucytommo]. Consider this, Coventry City Council and Birmingham City Council broadcast a live video stream of their meetings. Warwickshire County Council have produced nothing so far. Stratford District Council have made a few broadcasts with the help of Stratford Upon Avon College. While Warwick District Council, also have nothing to show. Hi, I agree with you (as a member of the press) it is unusual now for us to attend unless something newsworthy or controversial is on the agenda. But sadly gone are the days of seven reporters on a patch! As you know I cover two weekly newspapers (Coventry and South Warwickshire) on my tod and as much as I'd like to cover everything, it just isn't possible. Saying that, I WAS at the meeting on June 16...along with a work experience girl! Many Thanks for this comment Lucy. I do remember seeing you two come into the room. No idea who was who, at that time. I will re-edit the post above... Lastly, this is the FIRST time, someone from print media has commented at wiK, sure others will now follow. I'd take issue with you Mike in asking if there's any point in attending council meetings because all of the reports are available online. These reports are just the officers' recommendations (along with the obvious detailed background information). To understand how and why decisions are made, I think it's important to actually listen to the debate, understand the differing viewpoints, weigh up the pros and cons, and to measure your opinions against those being expressed by the councillors who are ultimatly accoutable. We'll never go back to the local newspapers covering council meetings in depth (as Lucy has indicated above) and perhaps that's no bad thing. Times have moved on and people consume information in different ways than they did 50 years ago. My point is that a county of over half a million people with a budget of £827m should be able to provide decent online streaming coverage of all of its meetings. And it doesn't. At all. And that's a disgrace. I suspect Mike that if they gave you £5,000 and asked you to sort it, there'd be something decent up and running within a fortnight. But will we see anything happening this year?? Next year?? The year after that?? I'd quite like to know from the Cabinet Member with responsibility for community engagement why Warwickshire County Council won't stream it's meetings live online. Have we ever had an official explanation? 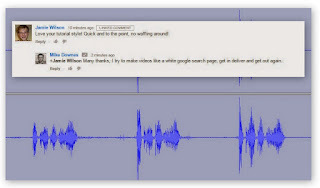 Many thanks and appreciate the comments Dan. As you may know, I was in Shire Hall today asking many of those questions. What I can say, is the building has free wifi and Councillors are expected to have a laptop with them (to view documents). From that, members of the public and press can have as wifi access too for free - joining up the dots, anyone could stream or record audio good quality audio (at least). If I am brutally honest, I would say I was told in Shire Hall today that I am the ONLY person who keeps asking about having audio/video from a meeting. Thanks for being the second one Dan. When Shilton Parish Council (budget £15,000 pa) has more audio from its meetings available online than Warwickshire County Council (budget £827,000,000 pa), is it fair to conclude that something's gone wrong somewhere?